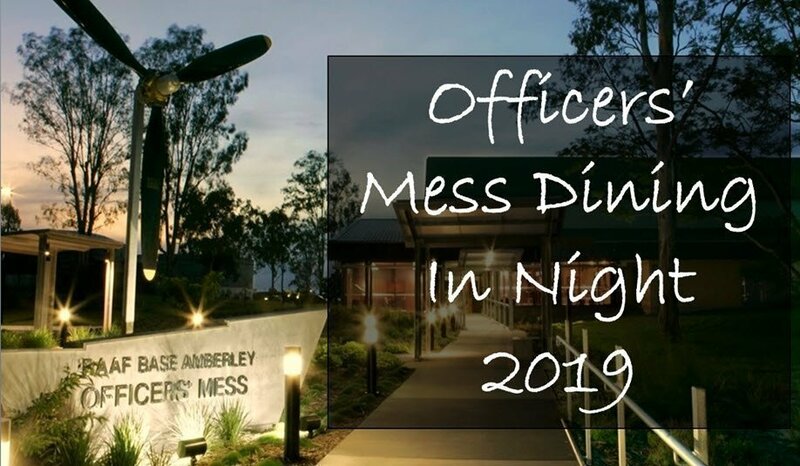 The RAAF Amberley Officers’ Mess invites you to join us for the 2019 Officers’ Mess Dining In Night, 11 Apr 19. 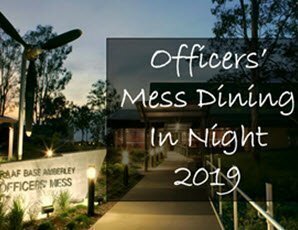 Entertainment will include the Army Jazz Band. Transport will be provided free of charge from designated locations. Crèche service will be offered for a small fee. More information on these options will be provided soon.